Kelebogile Zvobgo usually sleeps through the night, but this time it was different. The night was unseasonably warm and the young woman felt thirsty. Bleary-eyed, she fumbled for her phone to check the time. It was 3:11 a.m. But what caught her attention was a notification for a new email on the screen. She jolted fully awake. The National Science Foundation had selected the winners of its prestigious Graduate Research Fellowships for 2017, the subject line teasingly announced. Zvobgo, 24, a PhD student in political science and international relations at the USC Dornsife College of Letters, Arts and Sciences, had applied for one. She tapped it open to find the words “I am pleased to inform you …” and she knew her career was forever changed. The NSF Graduate Research Fellowship is difficult to get. It’s also seen by many as an early indicator of future academic success. Since the fellowship’s founding 65 years ago, recipients have gone on to have remarkable careers and achievements. Forty-two fellows have become Nobel laureates and more than 450 have been named to the National Academy of Sciences. The award selection process is highly competitive, with about 13,000 applicants vying for 2,000 NSF Fellowships this year. Zvobgo is one of 24 USC students and recent alumni who earned the fellowship this year. Another 12 earned honorable mentions. USC students’ success at winning these fellowships — which provide a $34,000 annual stipend for three years and additional money for tuition — has grown steadily since 2015. In 2016, 19 USC students won awards, exceeding the 2015 class of 15. This year’s total of 24 is USC’s highest ever and Zvobgo was thrilled to be one of the winners. Hands shaking, she immediately called her mom, who lives in Claremont. Mom was asleep — it was 3 a.m., after all. Zvobgo had to reassure her she had good news, not an emergency. Sally Pratt, USC’s vice provost for graduate programs, said the results show the commitment of faculty mentors and the support of programs aimed at jumpstarting academic careers. It also reflects the increasing quality of USC’s undergraduate and graduate programs. NSF Fellows represent the very best of a nationwide pool of young scholars. USC’s class of 2017 awardees comes from a wide swath of disciplines including chemistry, geological sciences, molecular biology, psychology, gerontology, computer science and others. Nineteen of the fellows chosen this year are women. The fierce competition for fellowships, as well as a desire to bring more women and minorities into the fields of science, technology, engineering and math, spurred the USC Graduate School to create a summer boot camp for applicants last year. Made possible by funding from the USC Provost, the boot camp guides students like Zvobgo through the rigorous application process for the NSF or other major awards. The 10-day intensive writing workshop includes a $1,000 stipend for participants’ housing and expenses so students can focus on applications instead of worrying about work. In addition, faculty-led proposal review clinics in the fall provide support and feedback to PhD students applying for major national awards. Programs like these, said USC Provost Michael Quick, increase faculty diversity on campuses nationwide by creating a pipeline to draw students of all types into graduate programs. 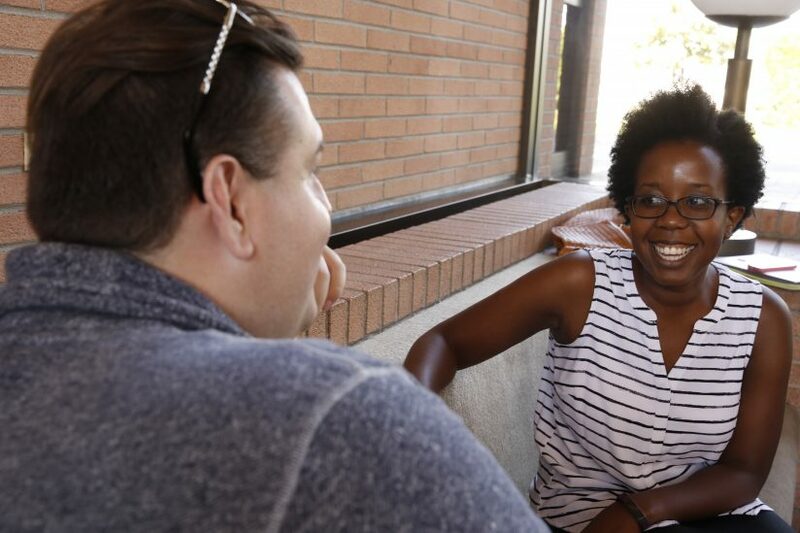 Zvobgo, who was born in Zimbabwe but has lived in Claremont since she was 9, credits the fellowship boot camp and the faculty review clinic with giving her a competitive advantage. They taught her how to quickly communicate to reviewers how her research would benefit society. She studies human rights institutions, with a special interest in truth commissions. These quasi-judicial bodies, often created by state governments, are historical inquiries into political violence during armed conflicts and authoritarian regimes. Her research would be the first to examine how best to design truth commissions to get perpetrators of violence to participate. The novelty of the project may have helped her application stand out. Receiving reviews from faculty outside political science and international relations was crucial to her success, she said. A faculty member in another discipline, as well as her fellow students, pointed out places where she had used jargon or referred to ideas that needed more clarification. The application process was intense, including intensive peer and faculty review, but worth it. Mackenzie Postel, molecular genetics and biochemistry. Renee Zurui Wang ’16, geochemistry. Sook-Lei Liew, a Ph.D. student in occupational science with the Division of Occupational Science and Occupational Therapy, received a three-year award from the National Science Foundation’s Graduate Research Fellowship Program. Application workshops pay off with a record number of National Science Foundation Fellowships.